Home Tags Posts tagged with "electric car"
What a person drives tells us a lot about them. This information is even more true when applied to politicians. We can learn about their true feelings on the environment, waste and safety, among other things. Since it is often difficult to get any real truth out of political candidates these days, we decided to investigate their personal vehicle choices to ascertain critical data needed before going to polls in November and beyond. 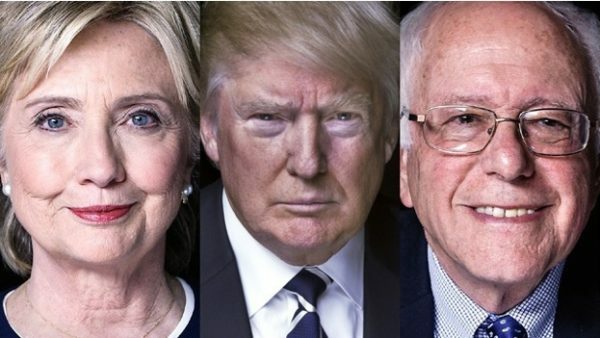 Of course, we sincerely hope that at least all of the candidates have taken an approved defensive driving course. Road safety is an important part of being a responsible citizen. Now, we do not expect anyone out there to change their vote based on this research alone. However, use it as part of a broad-based decision about the candidates. Without further ado, here is what the major presidential candidates, both current and former, drive on a regular basis. Some will shock you, others are as expected. As both the former First Lady and Secretary of State, Hillary Clinton has lots of security forces protecting her. Obviously she needs a large vehicle to transport this entourage wherever she goes. So, it is with little wonder that Clinton has a large Dodge Conversion Van. Hillary has a spotless driving record, largely because she has not actually been behind the wheel since 1996! We do know that in law school, Clinton had a 1963 Oldsmobile Cutlass. The car cost a mere $120 and proved to be a lemon. On cold nights Clinton had to remove the battery and keep it warm in her dorm room. Otherwise, the car would not run the next day. This democratic-socialist out of Vermont enjoys a reputation for being green. Some of his most ardent supporters are those on the left of the political spectrum who embrace environmental awareness. One would expect Sanders to drive around in a nice, eco-friendly, gas efficient vehicle. Perhaps even an electric car. Now, to be fair, Bernie did drive around in a electric hybrid years ago. Seems he has a more lavish lifestyle these days. Trump plans to make America great again. Well, he should start with the car industry because based on his garage, Trump prefers foreign automakers. Ouch! Jeb did not get very far in the Republican campaign. Perhaps that has something to do with his car choice. Though Americans often claim they want more down-to-earth candidates, when they had one in Jeb, the people tossed him to the side. This Bush takes Uber when possible and drives his own eco-friendly Ford Fusion hybrid. His wife Columba has a tiny Mini Cooper. Now that is as real as it gets. How Did Your Favorite Presidential Candidate Do? So, did your favorite current or past candidate live up to expectations? Probably not. But, nobody is perfect. That is why we recommend everyone, even the presidential candidates, take an online defensive driving course to brush up on those road skills. Nissan has announced it is suspending the functions of the NissanConnect EV, an app that could have been used to hack its Leaf electric cars. Nissan had been informed of the problem a month ago but only acted after details of the issue were flagged online. The auto maker denies there was a safety issue. The security researcher who had alerted Nissan to the problem a month ago believes the company should have taken the step earlier. The hack allowed an attacker to see details about journey times and distances, but not location details. Since the hack would not work when cars were moving and did not affect their steering controls, he acknowledged that it would not threaten people’s lives. 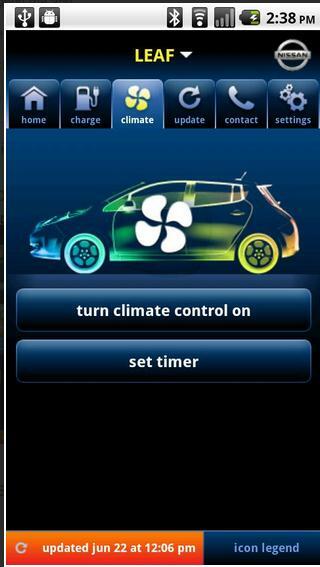 Nissan has disabled the service and noted that the app was also used by some of its electric vans. “The NissanConnect EV app – formerly called CarWings – is currently unavailable,” the company said in a statement. “This follows information from an independent IT consultant and a subsequent internal Nissan investigation that found the dedicated server for the app had an issue that enabled the temperature control and other telematics functions to be accessible via a non-secure route. “No other critical driving elements of the Nissan Leaf or eNV200 [van] are affected, and our 200,000-plus LEAF and eNV200 drivers across the world can continue to use their cars safely and with total confidence. “We apologise for the disappointment caused to our Nissan Leaf and eNV200 customers who have enjoyed the benefits of our mobile apps. However, the quality and seamless operation of our products is paramount. Toyota has announced it is planning to all but eliminate carbon emissions from its production processes by 2050. The target is one of several set by Japanese automaker, which also pledged to sell 1.5 million hybrid cars a year by 2020. Toyota said it will increase the use of renewable energy and hydrogen-based production methods at its factories. Separately it said it plans to sell more than 30,000 hydrogen fuel-cell vehicles around or shortly after 2020. Unveiling new environmental targets Toyota confirmed that its new Prius hybrid would be a fifth more fuel-efficient than its predecessor as the car manufacturer hopes to boost flagging sales of the environmentally friendly model amid a slump in global oil prices. 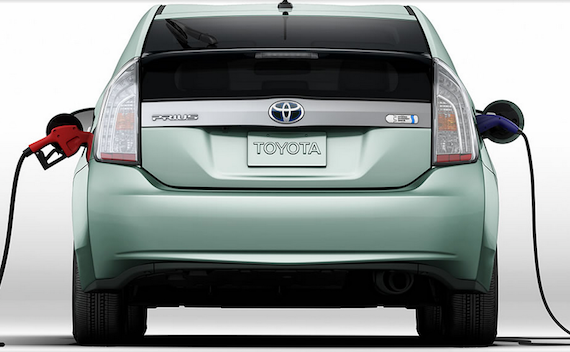 Toyota said it planned to reduce average emissions from its cars by 90% by 2050 compared with 2010 levels. However, Toyota’s plans did not include any commitment to manufacturing electric cars. The strategy outlined on October 14 came as Volkswagen said it would cut investment at its biggest division by €1 billion a year from 2019 and increase development of electric vehicles. VW said on October 13 it would speed up cost cutting at its VW division and put only the latest and “best environmental technology” in diesel vehicles. VW is facing the biggest crisis in its 78-year history after admitting last month it installed software in diesel vehicles that could deceive US environmental regulators about the true level of their toxic emissions. 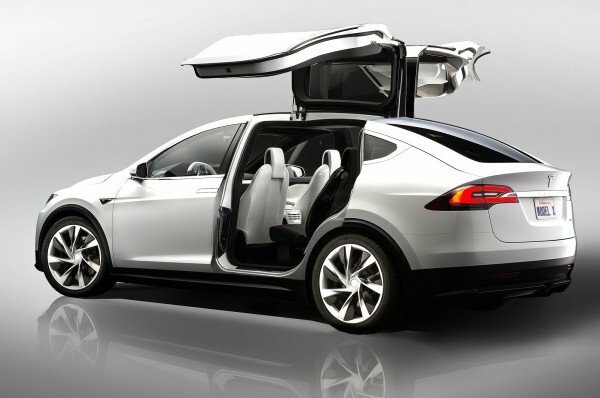 Tesla has unveiled its long-awaited Model X with a “bio-weapon defense” system and Falcon Wing doors. The Model X is the third vehicle produced by the electric car-maker, and was unveiled nearly two years later than originally planned. 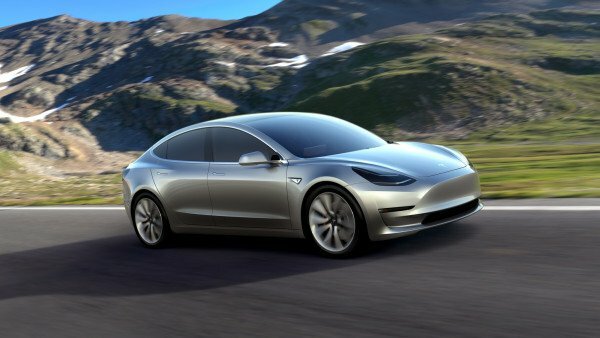 Tesla – which has yet to make a profit – said about 25,000 people had pre-ordered the all-electric SUV. Analysts say the Model X should be a success because it will be seen as a status symbol. Tesla CEO Elon Musk said at the car launch in Fremont, California: “I think we got a little carried away with the X. “There is far more there than is really necessary to sell a car. Analysts say the model filled a gap in the market. The sports utility vehicle (SUV) can fit seven people at a time. The Model X’s Falcon Wing doors open upwards and use sensors to help them clear obstacles, such as garage ceilings. Tesla suggests this will make it easier to put young children in car seats without hitting their heads on the roof. The biohazard button activates the air filtration system, which fills the cabin with “medical-grade air”. The Model X also features a panoramic windshield that extends overhead, which Elon Musk said was the largest single piece of glass ever used in a car. Tesla says the car, which has two electric motors, can travel about 250 miles on a single charge and features automatic functions that bring it “ever closer to autonomous operation”. It will be continuously improved, Tesla says, via software transmitted “over the air”. An update expected within the next month should enable an auto-pilot function, allowing the cars to be driven hands-free on motorways. 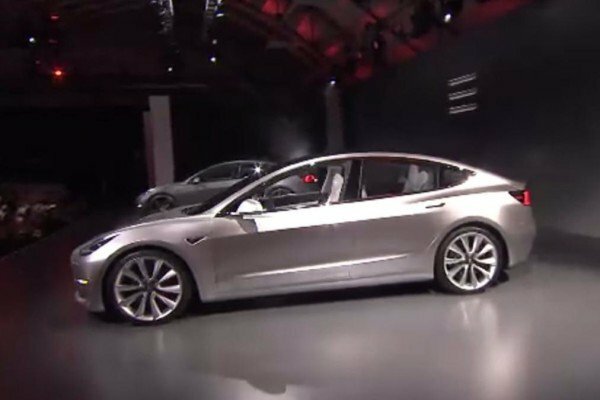 The Model X is priced as high as $144,000 and Tesla expects the pre-orders will take between 8 months and a year to fulfill. Tesla has not disclosed pricing for the base model, but Elon Musk said that in the future there would be a “lower-cost” version. The Model X is the third vehicle unveiled by Tesla. Its first was the Roadster sports car – which is no longer in production, and its second the Model S saloon. Tesla has pledged to make its next vehicle – the Model 3 – lower cost. It is due to be revealed in 2017. The company hopes to disrupt the car market by demonstrating that vehicles with electric motors do not need to compromise on speed or handling. 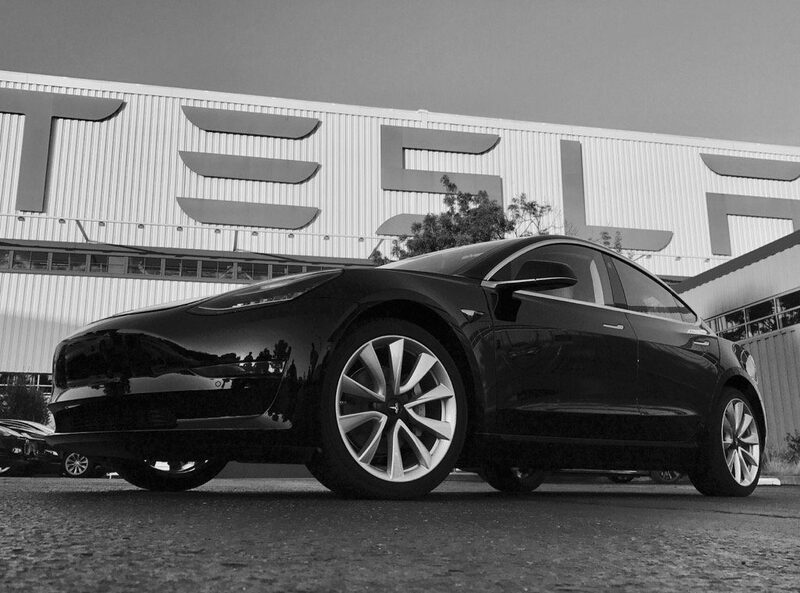 Tesla has yet to make a profit and its costs are mounting. 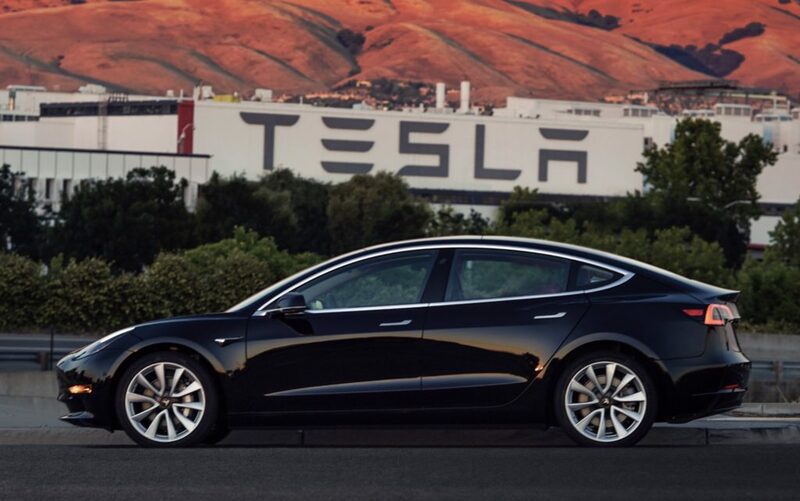 The company’s spending on fixed assets totaled $831.2 million over the first half of the year due to its investment in the Model X and Model 3 as well as a new battery factory in Nevada. The Model X, Elon Musk said, “gives us a cash flow stream we can use to develop and facilitate” production and development. 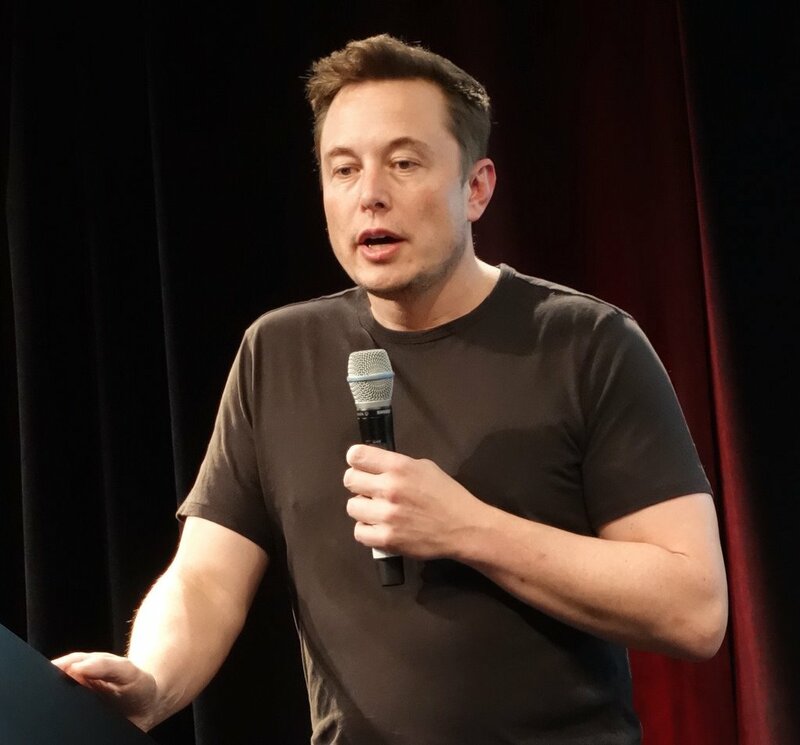 In August 2015, Elon Musk said Tesla would make between 50,000 and 55,000 Model S and Model X vehicles this year, and would have the capacity to roll 1,600 to 1,800 vehicles off its production lines per week in 2016. 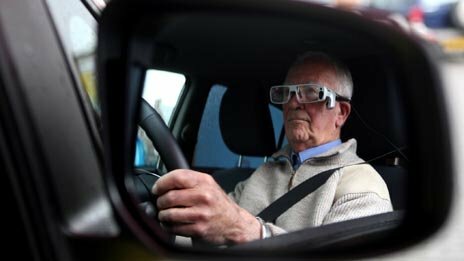 A British team from Newcastle University is developing new technology aimed at helping older drivers stay on the road. Many give up because their reaction times have slowed down – but this means they become more isolated and inactive. One of the Intelligent Transport team’s developments is a “Granny-Nav” which identifies the safest route, such as avoiding right turns. The Age UK charity said such developments could help the elderly maintain their independence. The work is part of a £12 million ($19 million) “social inclusion through the digital economy (SiDE)” project, led by Newcastle University, which aims to see how technology can improve peoples’ lives. The researchers have converted an electric car into a mobile laboratory. The “DriveLAB” has navigation tools, night vision systems and intelligent speed adaptations. It can monitor concentration, stress levels and driving habits via glasses that can track eye movement, and monitors to assess where the key stress points are for older drivers. The car also has night vision systems to help driving in the dark. Around 20 drivers in their 80s from across the north-east of England and Scotland have so far taken DriveLAB out on the road. The team looked at developing a bespoke sat-nav because the elderly drivers they spoke to said finding a route they were comfortable with was a major factor in making them feel comfortable driving. Many avoid turning right because they do not feel confident about judging the speed of oncoming traffic. It also uses pictures of local landmarks, such as a post box or public house, as turning cues for when people are driving in unfamiliar places. Phil Blythe, professor of intelligent transport systems at Newcastle University, said: “For many older people, particularly those living alone or in rural areas, driving is essential for maintaining their independence, giving them the freedom to get out and about without having to rely on others. “And people base their whole lives around driving a car, having mobility. “But we all have to accept that as we get older our reactions slow down and this often results in people avoiding any potentially challenging driving conditions and losing confidence in their driving skills. The result is that people stop driving before they really need to. Dr. Amy Guo, who is leading the older driver study, said it had produced some surprises. “For example, most of us would expect older drivers always go slower than everyone else but surprisingly, we found that in 30mph zones they struggled to keep at a constant speed and so were more likely to break the speed limit and be at risk of getting fined. The team is also looking at displaying information on the windscreen, rather than the dashboard – so drivers do not feel the need to look away from the road – and systems that can detect if the car has strayed out of its lane. Car manufactures have expressed interest in the work, and Prof. Phil Blythe said some of the technologies could be seen “soon”, with others within “five to 10 years”. Michelle Mitchell, charity director general of Age UK, said: “Ability, not age, should determine how safe someone is on the road – so any research should look at all drivers and what makes them safe or unsafe. “When it comes to driving, everyone is responsible, at whatever age, for making sure they are safe on the road. Using an electric car leads to fewer warming emissions and fuel cost savings, says the Union of Concerned Scientists. The study, “State of Charge: Electric Vehicles’ Global Warming Emissions and Fuel-Cost Savings Across the United States” was published on Monday on ucsusa.org. The researchers took an average gasoline price of $3.50 a gallon (3.79 liters) and concluded the driver of an electric automobile would save $750 to $1,200 a year compared to buying gas for a vehicle that gets 27 miles (43 kilometers) a gallon when driving 11,000 miles (17,702.8 kilometers) a year. The savings could add up to nearly $13,000 over the life of the car. 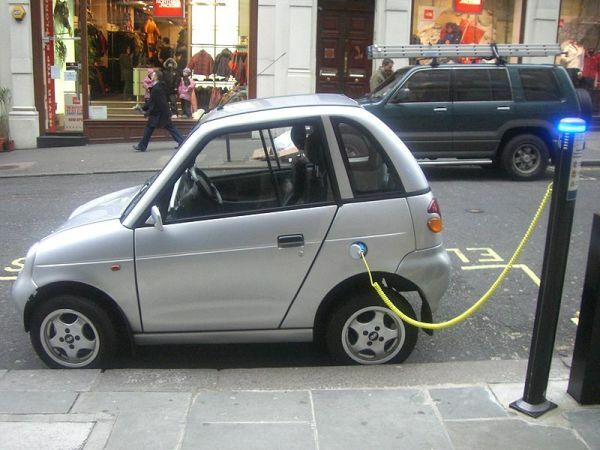 Using an electric car may lead to fewer emissions and to lower fuel cost. (Electric car Reva charging). However, there are no specifications in the study regarding the total cost of ownership of an electric car compared to a gasoline-powered vehicle. “The cost of the electric vehicles today vary pretty widely based on the models that are out there. It’s important for consumers to understand what the potential savings are on fuel costs, and that can help them make a decision about buying a vehicle,” said Don Anair, the study’s author and senior engineer for UCS’ Clean Vehicles Program. According to the Ford Motor Co. the price for an electric car starts at $39,995 before a $7,500 U.S. tax credit. In the same time a gasoline-powered version has the base price of $16,500. Ford Motor is the producer of a Focus electric car already sold to fleets including those owned by Google and AT&T. While the fuel economy of the gasoline-powered Focus SFE is rated at 33 mpg (miles per gallon) by the U.S. National Highway Traffic Safety Administration, the electric Focus is certified by the U.S. Environmental Protection Agency as offering the equivalent of 105 mpg. The Nissan Leaf has a suggested retail price of $35,200, and in California, incentives from the state and federal governments can lower the cost to $25,200, while the Nissan Versa, price may range from $10,990 to $18,490. “They’ve got a ways to go, pricing and otherwise, before they can convince the bulk of Americans that this is something you ought to put in your garage,” said John O’Dell, senior editor with the Edmunds.com auto information website. Electric cars generate fewer emissions than gasoline models even when taking into consideration the output from coal-fired power plants and other sources, the study says. The environmental advantage varies by part of the country. In California – where the major part of electricity is generated from natural gas plants, nuclear reactors, renewable power sources and hydroelectric dams – an electric car produces the same amount of global warming emissions as a gasoline-burning car that gets 79 miles to the gallon. In Texas, where the coal is the main source of energy, an electric vehicle is environmentally friendly as a gasoline-powered car getting 46 miles per gallon. In several coal-centric states, an electric car generates more emissions than a hybrid. However, the electric will still outperform the standard compact car. “For people who might have had doubts about the climate benefits of electric vehicles, this analysis shows they’re positive, no matter where you live. This report shows drivers should feel confident that owning an electric vehicle is a good choice for reducing global warming pollution, cutting fuel costs, and slashing oil consumption,” said Don Anair.